I have gone to the same ophthalmologist since I was in kindergarten, so I had very high expectations. I wasn’t disappointed one bit! Dr. Sharon and her entire staff were wonderful. I would highly recommend Complete Eye-care, Inc.
Nice, friendly staff. Doesn’t look or feel like a typical doctor’s office, which is a great thing. Would recommend this place to anyone looking for an eye doctor. 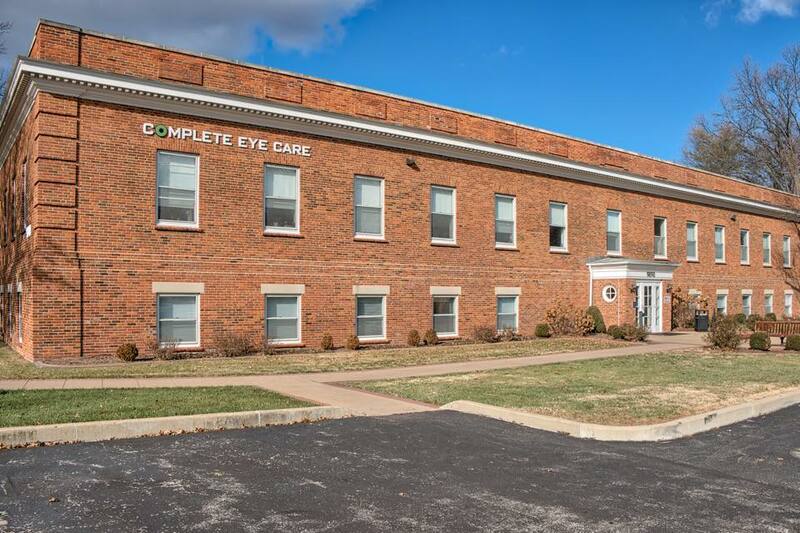 All levels of staff at Complete Eye Care are very professional and helpful. From the ladies at the front desk, to the technicians and Dr Luong were outstanding. Dr Luong advised me of a potential problem that he will check every 6 months and treat if needed to head off glaucoma. Twice yearly eye exams at another eye doctor never led to this discovery and reveal. Do yourself a favor and go see Dr Luong…your eyes deserve the best!! Fast courteous service.Great results. I don’t know what else to say to meet 50 word goal. Excellent team, docs, techs, and experience. Highly recommend! Had a great experience with the doctors and staff! Dr. Luong took the time to explain all the aspects or my eye exam and answer all of my questions. The optical department spent a lot of time with me going over frame choices and selecting the right pair for me. I definitely appreciated the above-and-beyond customer service and care! Dr. Greuloch did a great job fitting me into his busy schedule! Short wait time, very professional staff, and super nice waiting area. Thorough eye exam and very patient staff while I tried on nearly every pair of glasses to see what looked right. I definitely recommend Dr. Greuloch to anyone who has eyes!! Efficient, friendly. Dr. Jick rocks! Everyone on the staff was great. The doctor was very welcoming and spent a lot of time making sure I understood everything. Highly recommended! I was impressed by the doctors and staff at this office. Everyone is caring and professional. I felt at ease as they cared for my eyes. Everyone in that office has a positive, caring attitude. I Highly recommend using this office. I was especially impressed in how they care for children. My boys felt very comfortable with the doctors and staff. Great Doctor, Great Staff, Great Care. Doctor Kevin and his staff have my 82 year old mother seeing better than she has seen for years. She was a little reluctant to have her cataract surgery, but Doctor Kevin’s patience explaining the procedure, (low) risks, and post procedure care helped her gain confidence in her decision to have her cataracts removed. Doctor Kevin is now my eye doctor too. My new contact prescription has me seeing great as well. Complete Eye Care Inc. prides itself on the quality of the eye examination for our patients. Our staff have been trained by Drs. Greuloch, Jick & Luong to ensure that all testing is done to the highest quality fashion. You will find that we measure for glasses in a different way than you are used to; like other things in life, there is no substitute for taking the time to do things right. We do not “double book” patients because we find it important to give each patient the time needed with the technician and doctor. 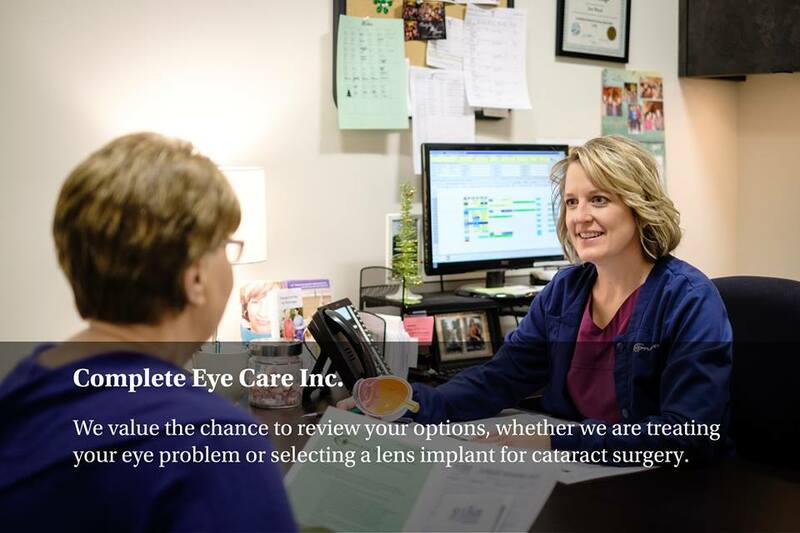 Our surgery scheduler works along with our doctors to help meet all of your surgery needs, whether you need help with your cataract or would like to get rid of your glasses with Lasik. We have a friendly front desk and billing staff that will be happy to help you at all times. General Eye Exam, Cataract Center, Eye Disease Screening and Treatment, Optical Center, LASIK, Contacts, Lens Center and more!